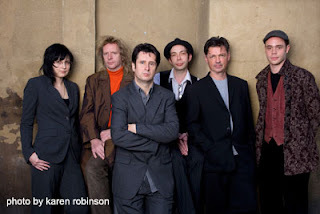 MADAM - the group project of singer/songwriter/producer Sukie Smith – are to make their acclaimed sophomore album Gone Before Morning available as a full release on CD and download via Sukie's own Shilling Boy label, distributed by CARGO. The completion of the project was celebrated with a performance at King’s Place, London on 21 January. The album will be released on Monday 2 March. Sukie is available for interview. The cheap poundshop mystic visionary is back amongst us with a timely snapshot of the current mood and a wayward prophecy of how things could, would, should be, if all was right in our hearts and on our streets, this is the lie of the land indeed. The Band Of Holy Joy begin the new year with a new download-only single on their own Radio Joy label. Oh What A Thing, This Heart of Man is the first of a series drawn from The North is Another Land, a radio play written, produced and performed by the band that was recently serialised over six weeks on Resonance FM. The song, featuring flautist Clive Bell and cellist David Barbenel, was recorded at North London’s Reservoir Studios, where the band have also been working on a new album, due for May release. The band will launch the single with a special gig at The Bull and Gate, Kentish Town on the official release date, 7 January 2011. Johny is available for interview. MONKEY ISLAND to reissue LUXE et REDUX ahead of Billy Childish-curated art show! 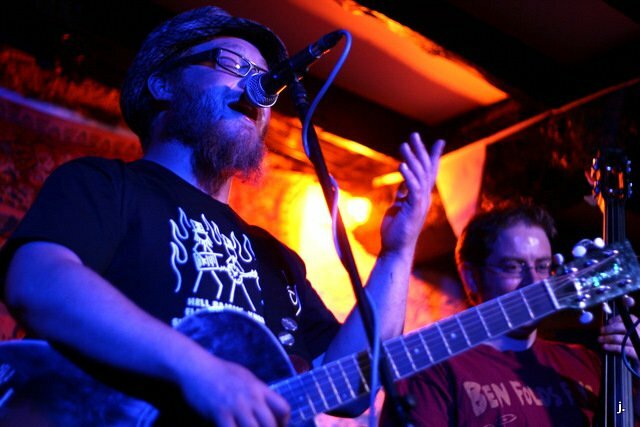 Nearly a year on from its original limited release, North London’s ‘math garage’ trio MONKEY ISLAND are to relaunch LUXE et REDUX in March, prior an exhibition in May of singer-guitarist PETE BENNETT’s paintings organised by and at the invitation of Kentish garage-punk luminary Billy Childish. Rightly praised by John Robb in his essential text Death To Trad Rock, on LUXE et REDUX, MONKEY ISLAND bring together the low-end production aesthetics of 60s garage-blues, the unholy riffs of 70s metal, the edgy funk and breakneck rhythms of 80s artpunk, and the bawdy lasciviousness of 16th Century tavern songs. All across 16 rampant tracks in little more than half-an-hour. 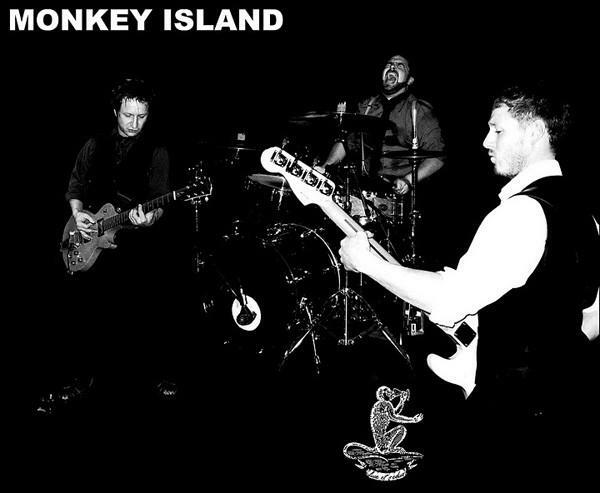 Emerging from the North London garage scene in the mid 90’s, the MONKEY ISLAND’s first few singles were released by early champion John Robb, gaining plaudits in The Guardian, Melody Maker and Metal Hammer and airplay from Mark Radcliffe, Steve Lamacq, Rob da Bank and the great John Peel. A self-produced third album pulled more mainstream press on board with glowing Kerrang! and NME reviews, and was acclaimed outside the UK in Italy where, several tours later, they have a phenomenal underground reputation. A fiercely independent attitude and a constant reinvention has kept the band alive where contemporaries have fallen and after their third album, Bennett reconstituted the band as a fresher more feral outfit reminiscent of their first album with two new collaborators, whipsmart drummer Sam St Leger and rigidly grooving bassist Andrew Speakman. Longtime fan Tim Cedar (Part Chimp) offered to record the band at his Drop Out Studio in Camberwell and a single day’s work south of the river reaped dividends with 16 brand new tracks to good old-fashioned tape, the result being latest album – LUXE ET REDUX.